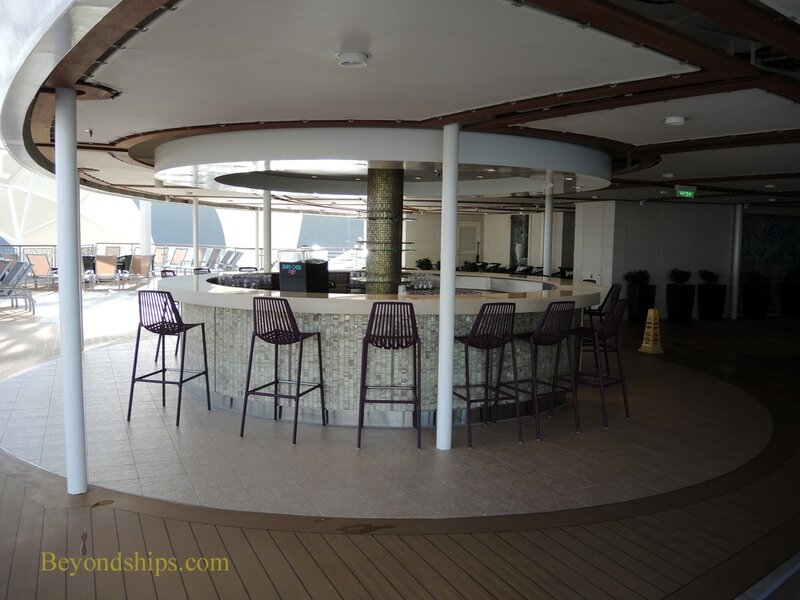 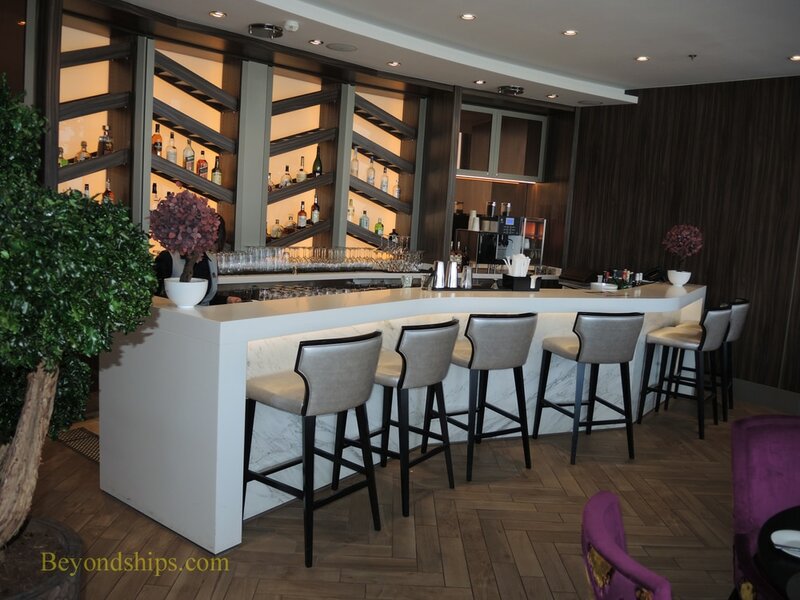 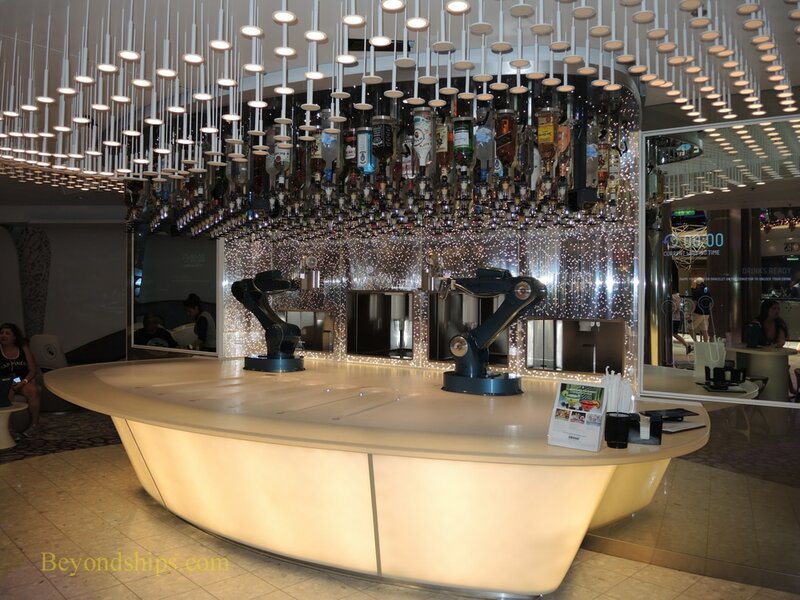 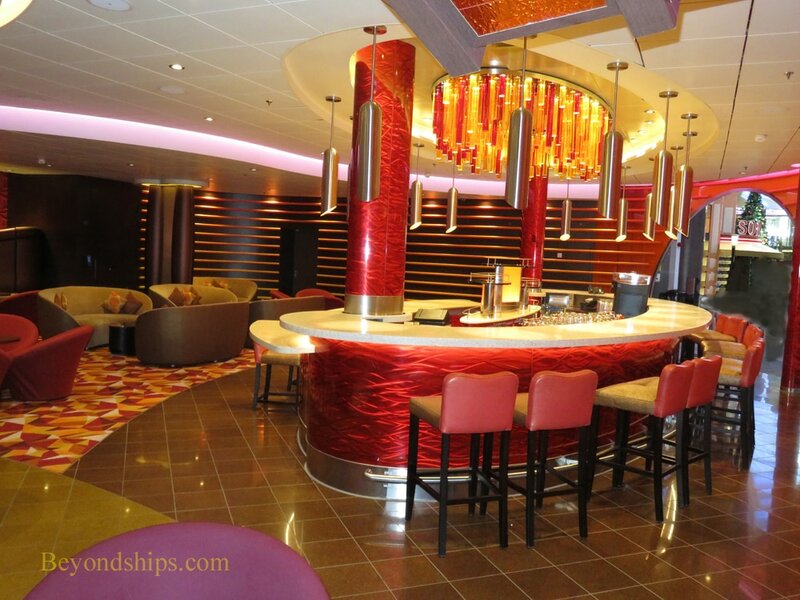 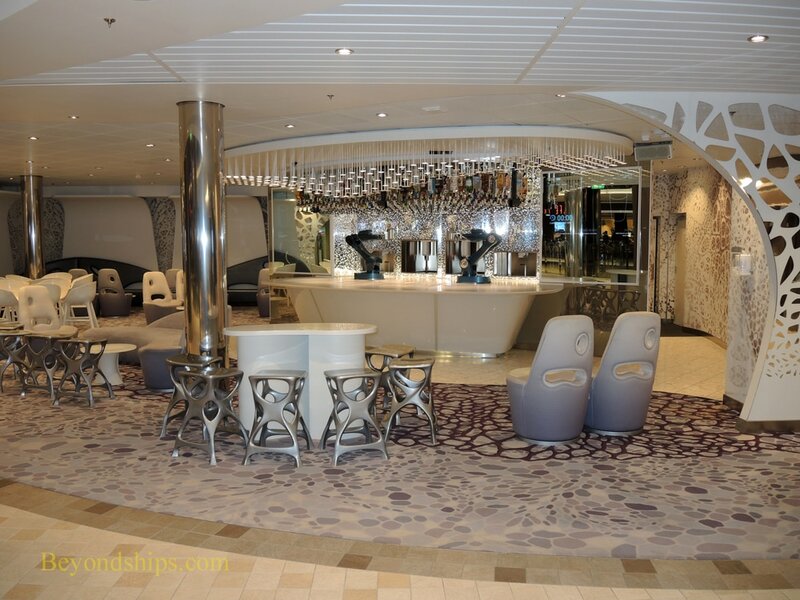 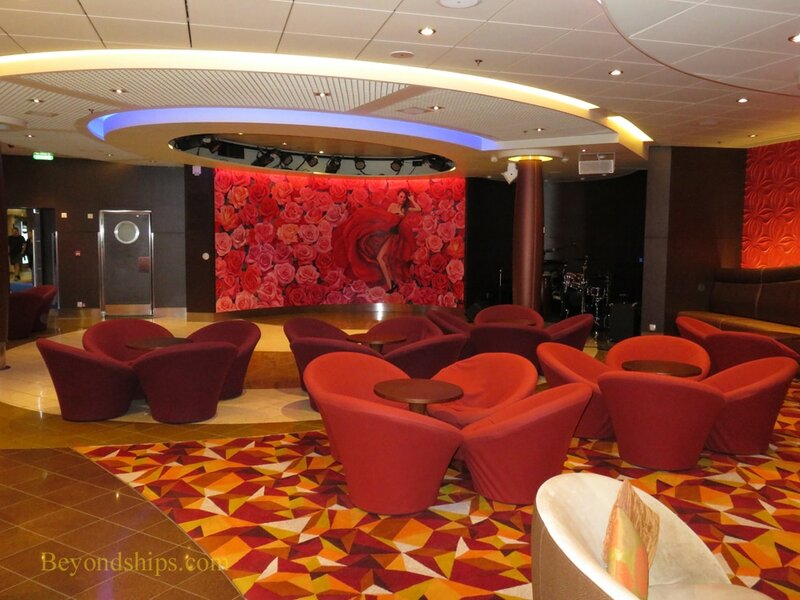 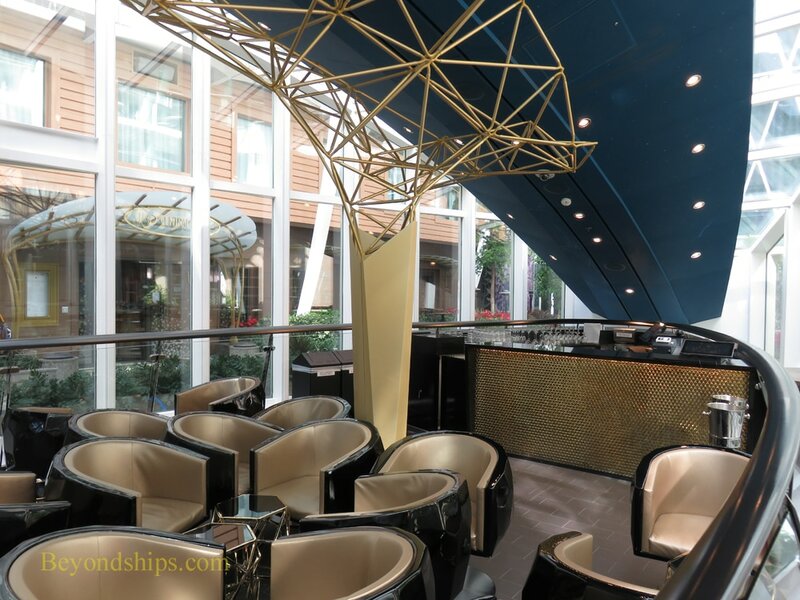 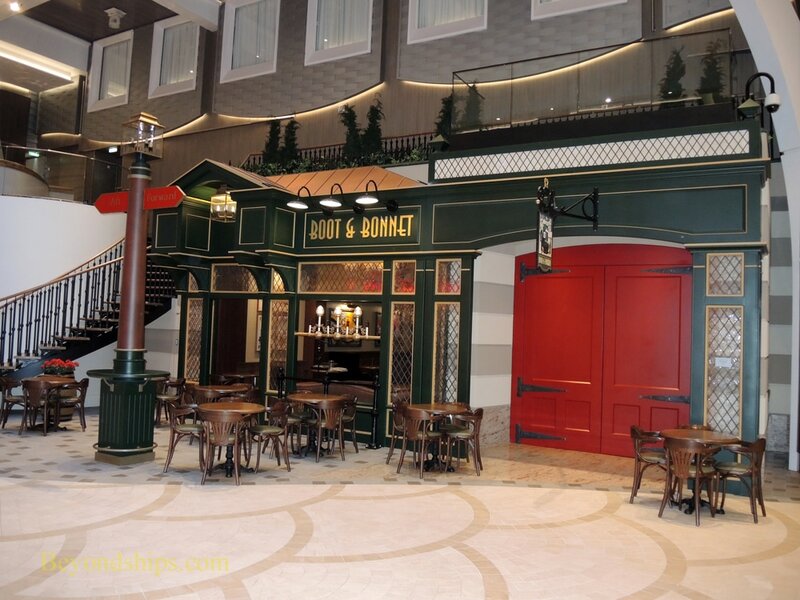 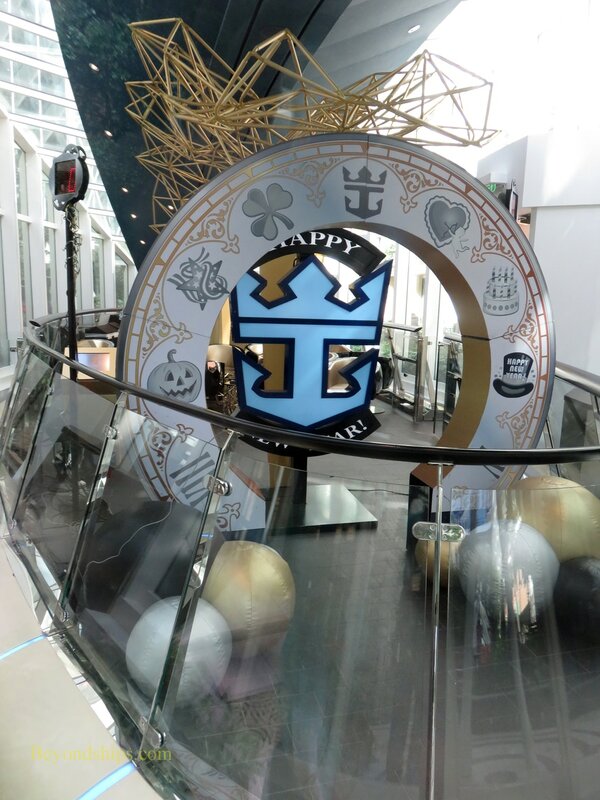 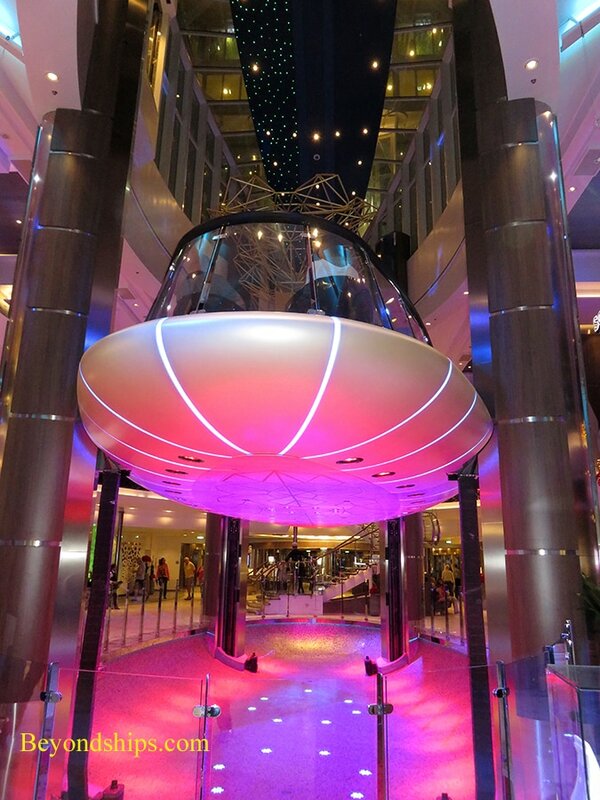 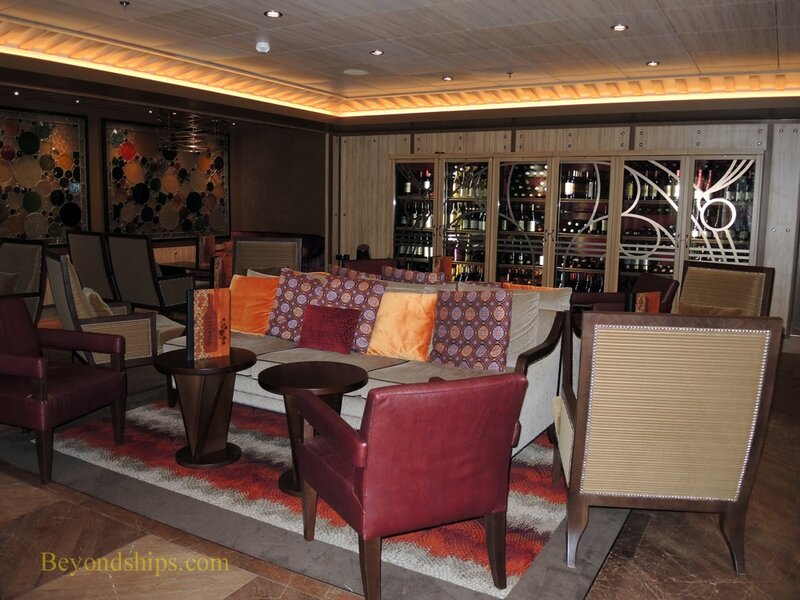 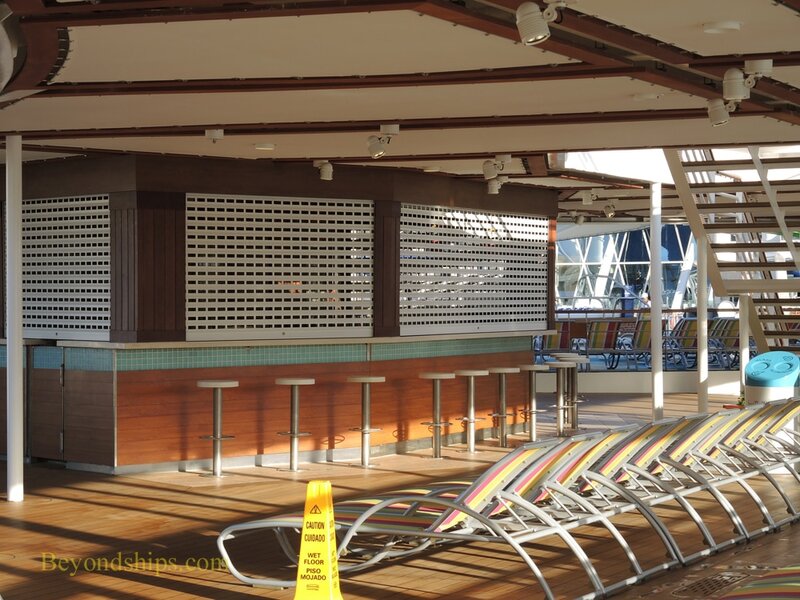 Harmony of the Seas has a wide variety of watering holes. 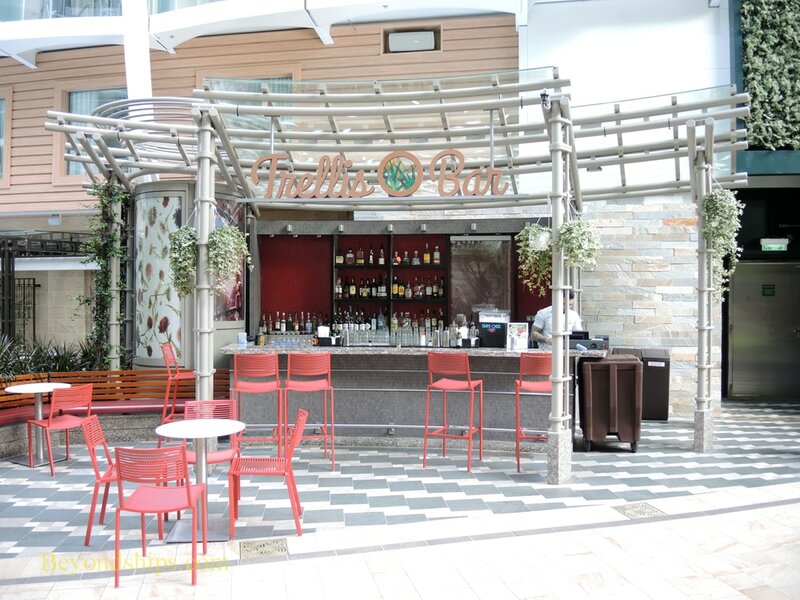 The Rising Tide bar levitates between the Royal Promenade and Central Park. 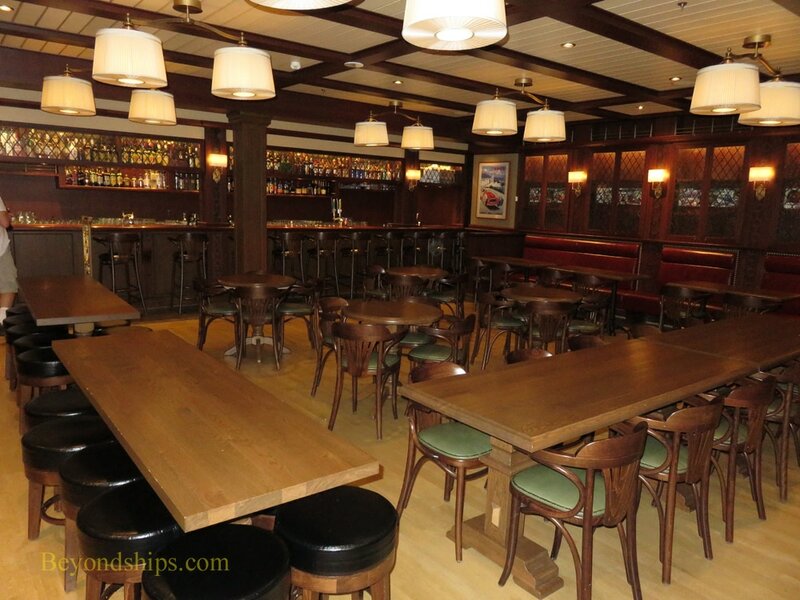 ​A more traditional venue on the Royal Promenade is the Boot and Bonnet Pub (below). 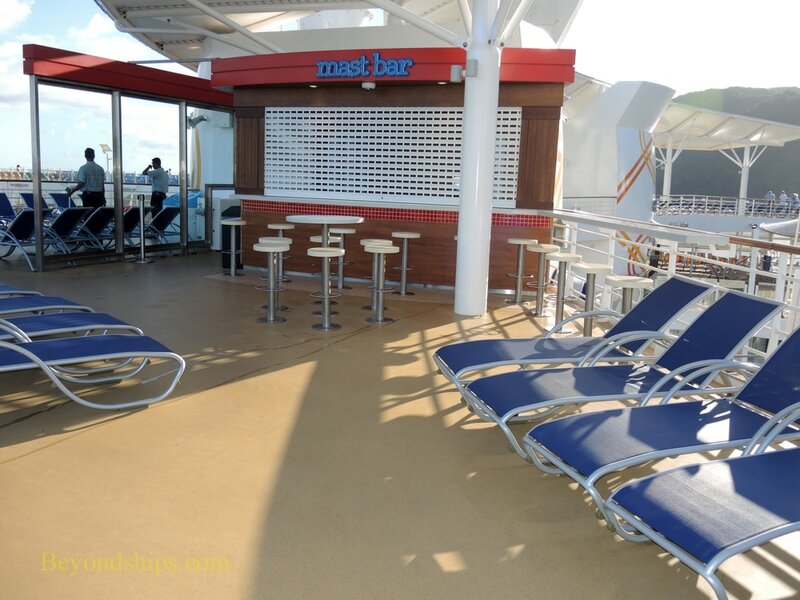 It offers live music in the evenings. 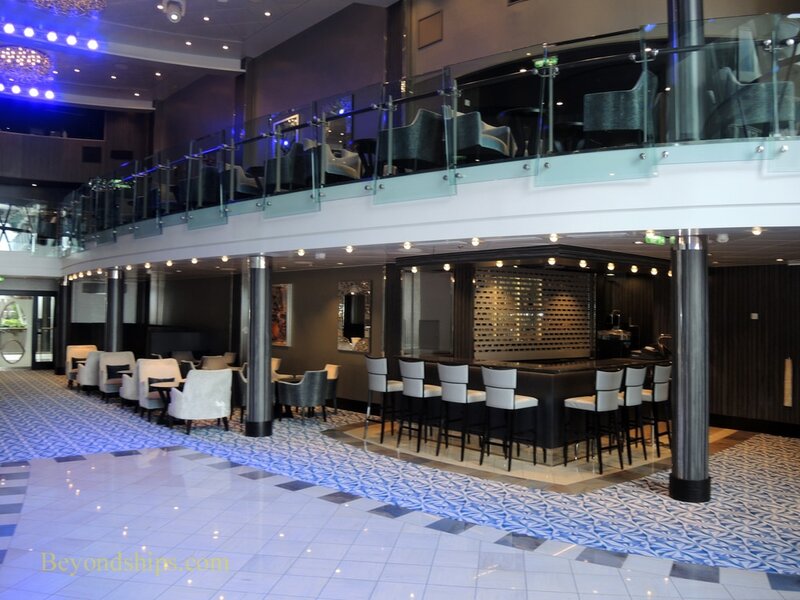 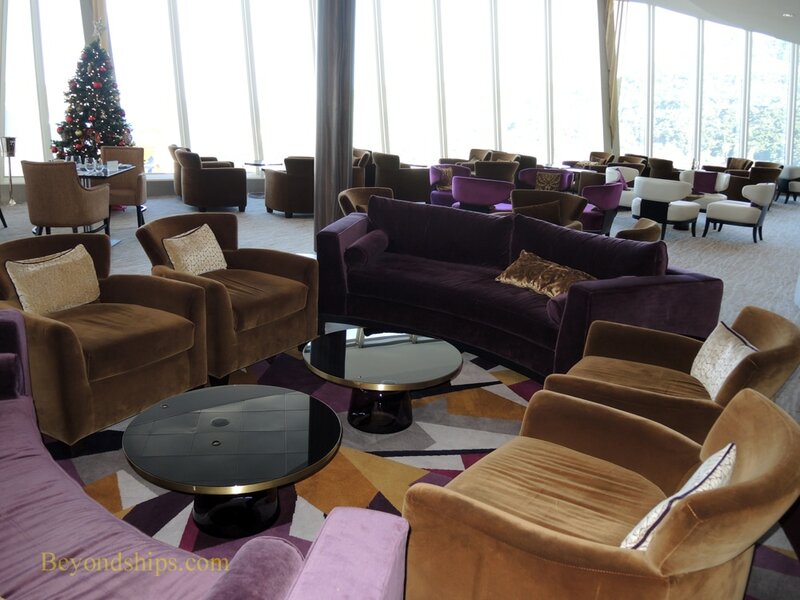 Dazzles is a cosmopolitan nightclub with live music and views over the Boardwalk. 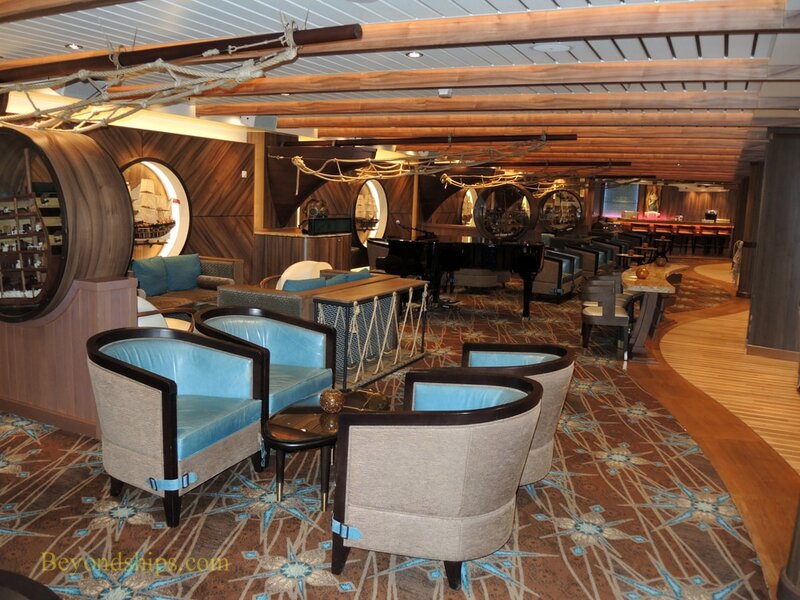 The Suite Concierge Lounge is open to guests staying in certain suites and to Pinnacle members of the Crown & Anchor loyalty program. 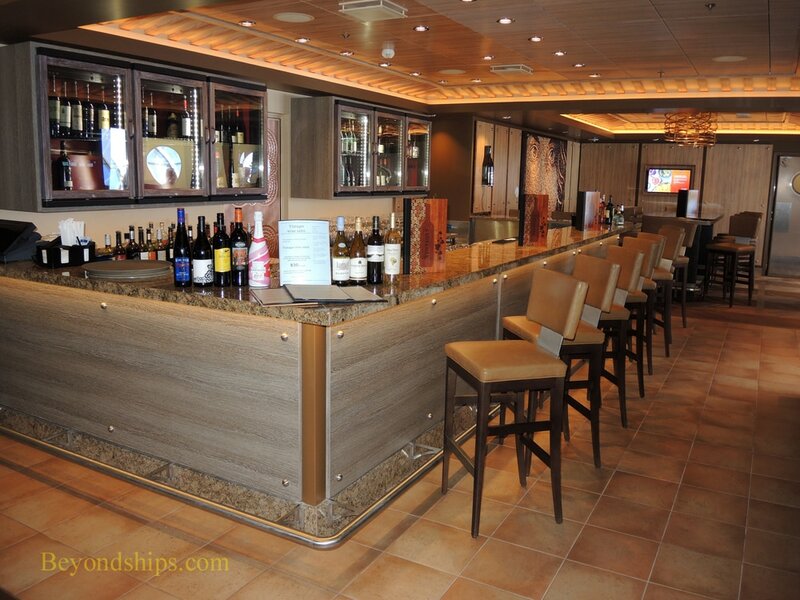 Diamond Plus and Diamond members of the Crown & Anchor Society have the Diamond Club on Deck 4. 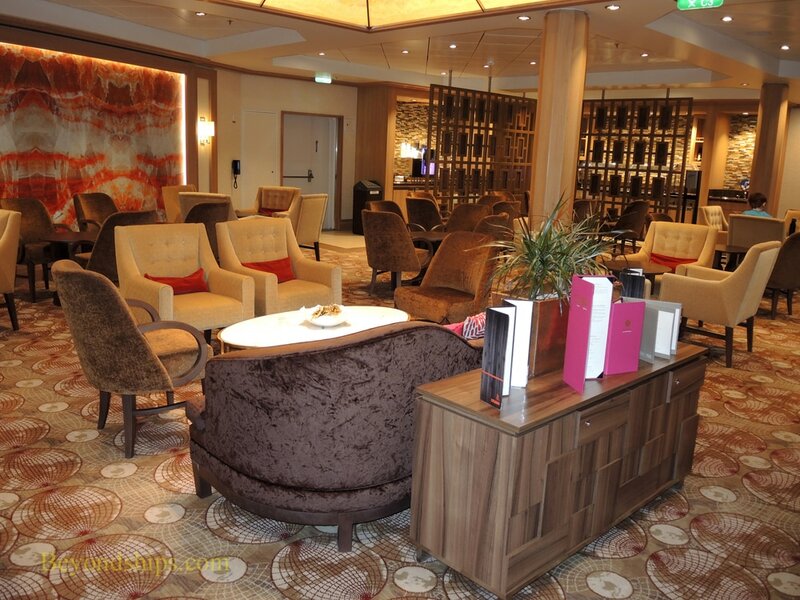 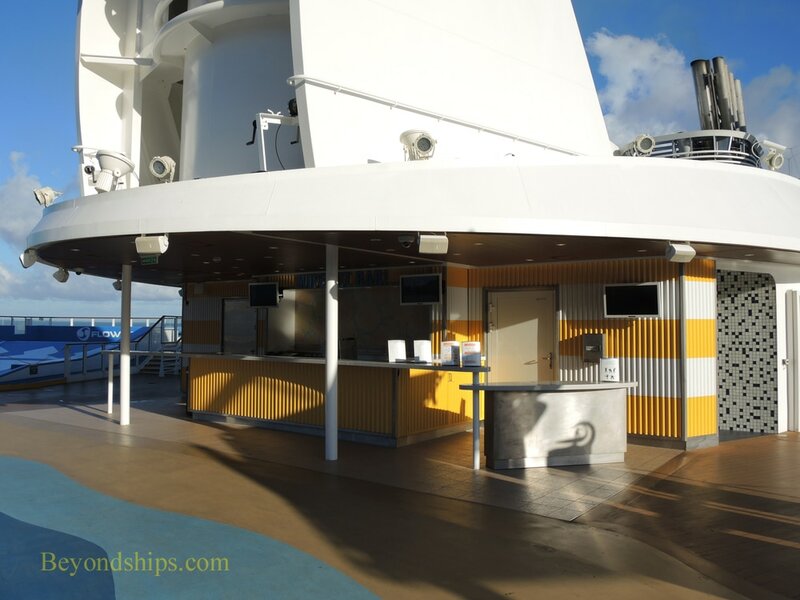 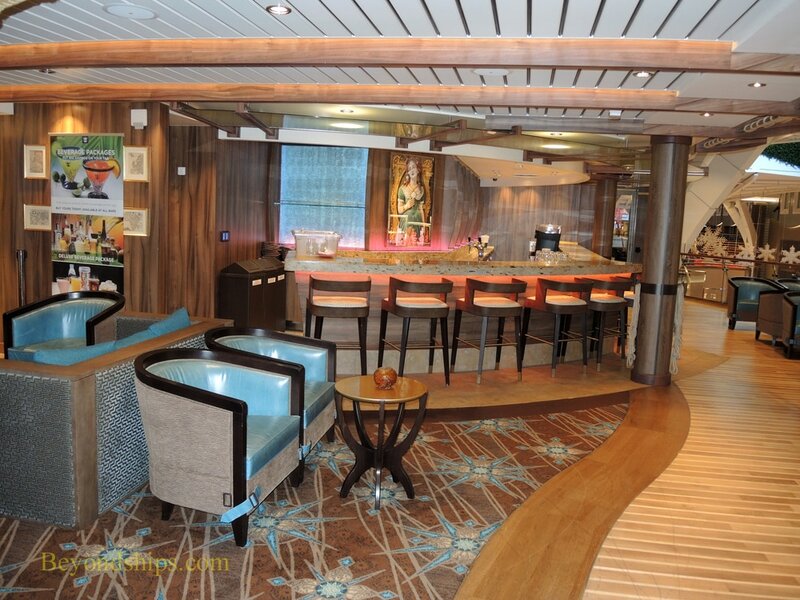 Serving the pool area is the Sand Bar (below right) and its mirror image on the port side, the Pool Bar.